The Ah or Ampere-hour capacity is the current a battery can provide over a specified period of time. For example 100Ah @ C10 rate to end of discharge of 1.75 V/cell means the battery can provide 10 Amps for 10 hours to an end of discharge voltage of 1.75 V per cell. Different battery manufacturers will use different Cxx rates depending on the market or application at which their batteries are targeted. Typical rates used are C3, C5, C8, C10 and C20. Because of this it is important, when comparing batteries from different manufacturers. Ah is used for sizing batteries based on constant [[electric current|current]] methods and watts/cell on constant [[Electrical Power|power]] methods. 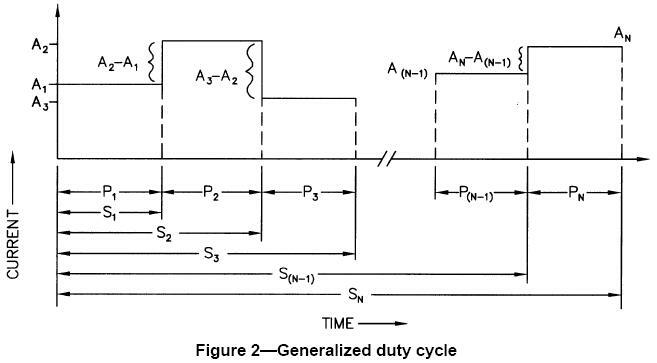 This standard details methods for defining the dc loads and for sizing a lead-acid battery to supply those loads in full float operation. A brief description of the method presented by the standard follow. For a full and accurate description, refer to the full standard. Note: commonly momentary loads are assumed to last for 1 minute during battery sizing calculations. The standard recommends a duty cycle be drawn showing the anticipated loads (in [[Ampere]] or power) for the required duration of battery backup time. Temperature Correction - at temperature decreases the capacity of a cell decreases (and vise verse as the temperature increases). Manufacturers quote cell capacity at a given temperature and appropriate correction factors should be used for other temperatures. Aging Factor - battery performance is relatively stable through out its life, dropping of rapidly towards the end. To ensure the battery can meet the design requirements throughout its life the standard suggestions the initial capacity should be 125% of the design capacity. Design Margin - to cater for unexpected circumstances (increased loads, poor maintenance, recent discharge, etc.) it is common to allow a design margin of 10% to 15%. Where S can be any integer from 1 to N depending on the section being calculated and FS is expressed in watt-hours or ampere-hours depending on which Ct is used. The term Rt is the number of amperes each plate can supply for t minutes, at 25oC to a defined minimum cell voltage. The term Kt is the ratio of ampere-hour capacity, at a standard time rate, at 25oC and to a defined minimum voltage which can be delivered for t minutes. 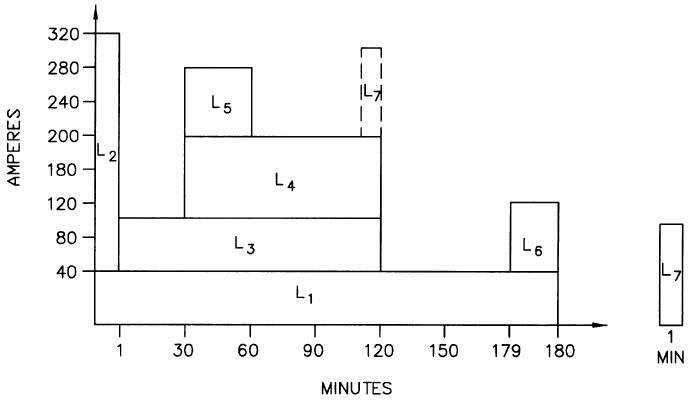 Rt is not equal to 1/Kt because each factor is expressed in different units.